And the next Target designer Collaboration is with... 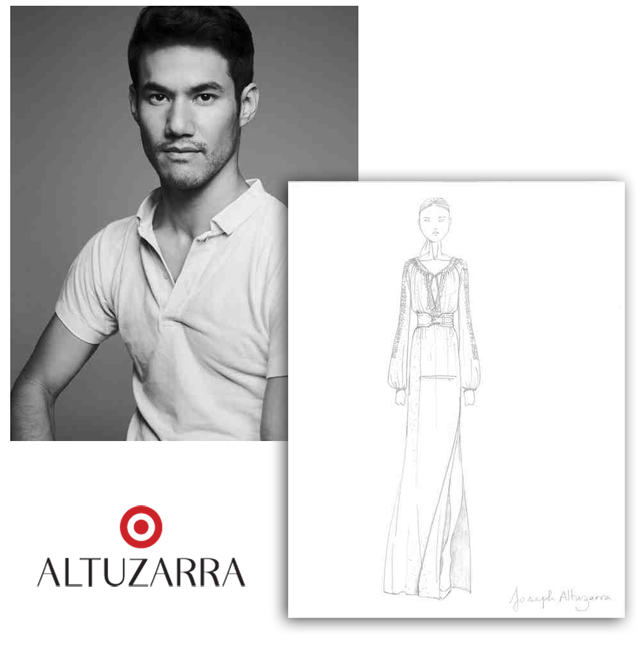 Altuzarra!!!!! Mark the calendars, again. It's time for another designer collaboration from Target. The retailer has just announced they are collaborating with Altuzarra. On September 14th, the collection will go on sale across the USA in Target stores, as well as online - as well as once again being sold on Net-a-Porter. "As a designer, I believe firmly in the transformative power of fashion. It has the ability to not only change how you look, but also how you feel. I've admired the elegance that Target brings to fast fashion. By working together on this capsule collection, we hope to instill a sense of power, confidence and beauty in women everywhere." So a bit about the collection. We have the first sketch released, as pictured above, and there are 49 other pieces where that has come from. All items will range in price from $17.99 to $89.99 and will include clothing, lingerie, shoes and accessories. That's all we have for now... we'll let you know when we get the look book in!